During the first half of Super Nature, performers surged, fell, undulated, posed, stumbled, and regained their footing only to collapse upon themselves. Peculiar nuzzling shifted to become inappropriate and slightly sinister, only to return to its original awkward state. Working against the grain of the pretty or virtuosic, Super Nature invited audiences to marinate in discomfort, the performers pushing themselves into the territory of the physically and aesthetically ungainly. The emotional impact of this action was raised, and audience members commented on a sense of disquiet, a feeling of being alienated within one’s own body, and a disconnect between the propriety of the costuming and the intimate invasiveness of the partnering. This unease was heightened for some at a visceral level early on as performers punctuated movements with continuous short, shallow exhalations. Expressed responses of physical anxiety, or the impetus to mimic, are perhaps instances of the kinesthetic empathy between performer and spectator which has been an area of exploration for the Body Cartography Project in recent years. Join the conversation by adding your thoughts in the comments section below! Attend the next SpeakEasy discussion on Saturday, December 8, in conjunction with Hay Days: A Deborah Hay Celebration. Come to Art School! The Walker is hosting a series of monthly lectures exploring various disciplines in contemporary art. Next up: photography on Sunday, November 18! Read Michèle Steinwald’s essay Sourcing Dance Through the Body: BodyCartography Project’s Creative Process. Learn about the elements of dance from the Perpich Center for Arts Education. 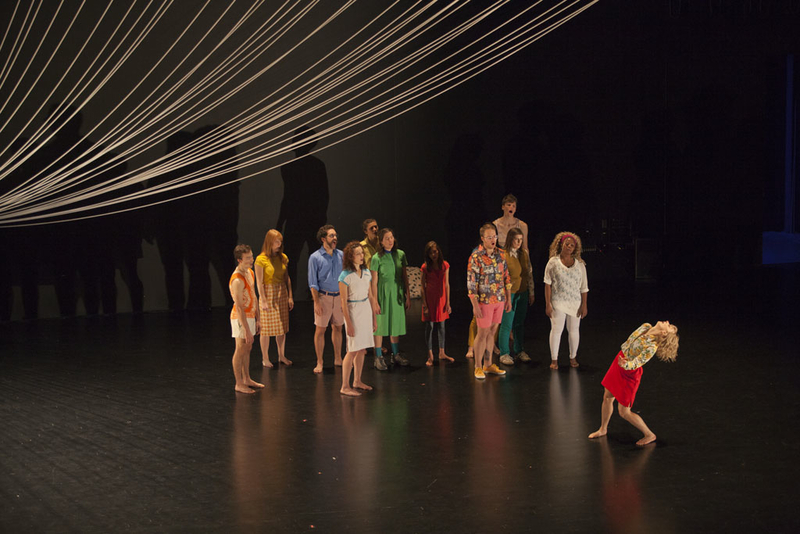 Listen to Justin Jones’ interview with BodyCartography Project choreographers Otto Ramstad and Olive Bieringa on the Walker Channel. Also check out Justin’s primer on watching experimental dance for MN Playlist!